Earth may have swallowed up a massive planet similar to Mercury in its early history, which formed our planet’s layers and magnetic field allowing life to flourish, researchers at Oxford University suggest. Swallowing a sulfur-rich protoplanet could explain where earth got its layers and magnetic field, which makes life on our planet possible, Oxford geochemists Bernard Wood and Anke Wohlers claim. “A Mercury-like body added to Earth during accretion would solve two important problems — that is, kill two birds with one stone,” study co-author Wood told Space.com, referring to the layers and magnetic field. Speaking to Smithsonian magazine, Wood said the Mercury-like object was less than half the size of Earth. “We would need a body 20 to 40 percent the size of Earth,” he explained. Prior research suggests Earth has had a magnetic field for at least 3.5 billion years. The magnetic field protects the planet against damaging cosmic radiation. Scientists believe Earth formed 4.6 billion years ago around the same time as the sun and the rest of the solar system. They believe Earth formed from smaller asteroid-sized bodies that stuck together to form chunks of rock that merged. This, the scientists say, does not explain Earth’s energy source that drives the magnetic field. Scientists say the crust and mantle contain a higher ratio of samarium to neodymium – two rare earth metals – than what is seen in meteorites. Debunking the current theory that the Earth’s formation came from smaller rocky bodies, their findings suggests that something else happened during the Earth’s early upheavals. The planet’s magnetic field comes from churning metal in the planet's outer core. However, scientists have not yet fully established how Earth’s core could have remained molten for so long. 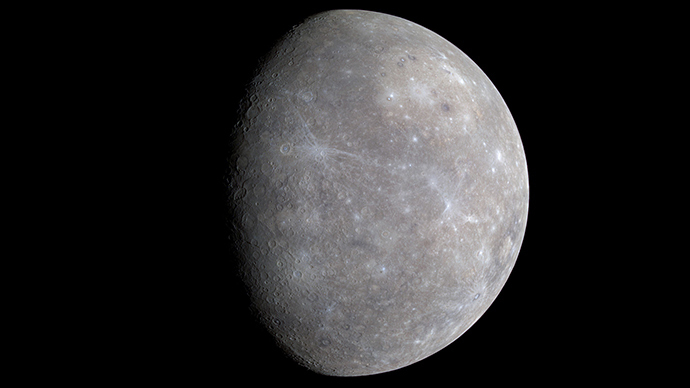 The new experiments reveal that if the early Earth engulfed a sulfur-rich Mercury-like body, uranium could have dissolved better in iron sulphide, which in turn would help uranium sink towards the Earth's core. Uranium is a radioactive element that generates heat, which might have kept the core molten.